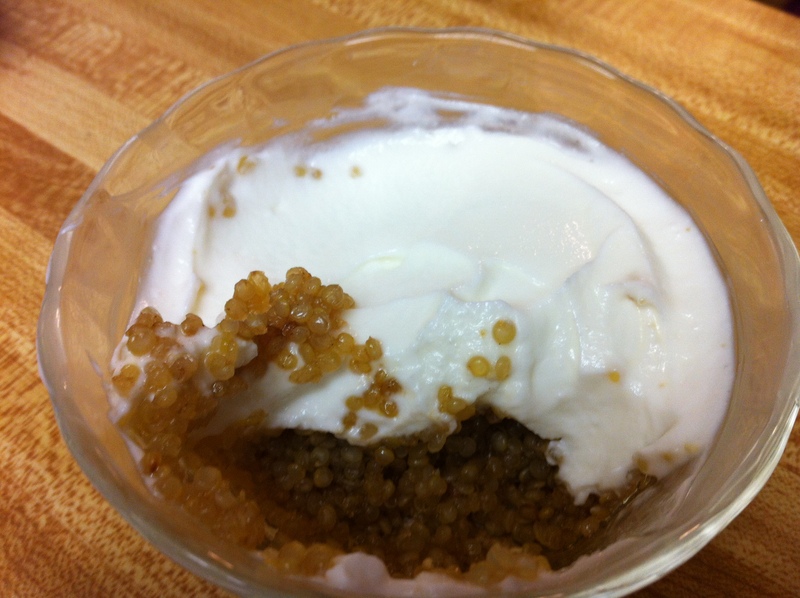 Rethinking Breakfast: Cinnamon Sugar Quinoa with Greek Yogurt. This is something I’ve been making quick either for breakfast or for a quick energy snack. It’s a nice change of pace from oatmeal and kids tend to like it.